Alexander is a partner at global law firm Baker McKenzie with 20 years of experience advising Swiss and international clients on cross-border and national deals with a special focus on real estate transactions, private & venture capital, mergers & acquisitions and fund structuring. He is co-chair of the Firms’ real estate transaction group and is ranked among the leading lawyers in his areas of practice by Chambers Europe and Legal500. Alexander holds an MBA from INSEAD (01’D), a PhD from University of Zurich (1999) and is an attorney at law (University of Berne, 1996). 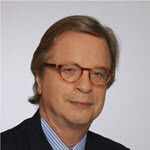 He is a regular speaker at seminars and lectures at the CUREM master and executive programs of the University of Zurich. He also acts as business angel, investor and/or director. Alexander is Swiss, married, has three daughters and lives in Zug. 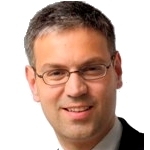 He has been engaged with the INSEAD Alumni Association since 2008 as president of the Zurich chapter committee. Alexander loves outdoor sports such as jogging, cross-country skiing and biking. 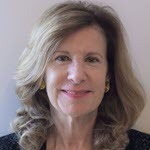 Monika E. Naef is Partner & Owner of DUFOUR Advokatur (Dufour Attorneys). Her focus areas are business law, business development and R & A, international business relations, and trade law. 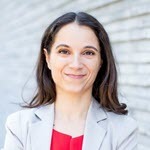 After earning a degree in Law from the University of Basel and passing her bar-exam, Monika became in-house legal counsel for a multinational pharmaceutical and chemical group, with global leadership responsibilities as well as simultaneously heading the multifunctional M&A review team and the Trademarks Department. She founded DUFOUR Advokatur in 2005 together with three partners and is now in private practise. She is a Certified Global Negotiator (CGN-HSG). Born in the UK, her formative years were spent on three continents (UK, USA, Switzerland and Japan). She loves offshore sailing and has recently acquired a Harley Davidson. 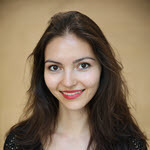 She has been engaged with the INSEAD Alumni Association since 2012 as member of the committee of the Basel chapter (treasurer) and was elected as treasurer for the INSEAD Alumni Association Switzerland in 2018. Reto is a partner of VIALEX Attorneys at Law with offices in Zürich, Berne and Lugano, a company he co-founded in 2015. He has been working in the legal industry since 2008 and his practice focuses mainly on domestic and international litigations, negotiations, transactions, as well as risk management and legal advice in regulated industries. Prior to this he worked for 10 years as an entrepreneur in international IT consulting and project management, focusing on enterprise strategy, software management, and event organization, with projects in North and South America, Asia, Africa and Europe. Reto is Swiss and lives in Zürich with his wife Martina and their daughter Rosa. Marc has an extensive experience in business aviation spanning engineering & product development to strategy, marketing, product & program management. 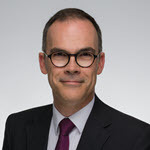 A graduate of McGill university in Mechanical (B. Eng ’93) and Aerospace Engineering (M. Eng ’97), he worked for Bombardier, Aeroplan (Air Canada), RUAG, and now Jet Aviation. A Canadian, he now resides and works in Switzerland for the last seven years. 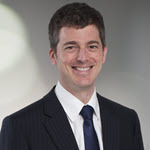 He is President of the Basel INSEAD Alumni Chapter since the beginning of 2013. Alessio is a digital health entrepreneur and an advisor in telecommunications and digital health in Europe and in emerging markets. Most recently he founded and led AMICOMED SA that developed and markets an innovative digital service to manage blood pressure, and has been engaged in several other entrepreneurial initiatives. Prior to this he worked for almost twenty years in McKinsey & Company where he served telecommunications and high tech clients around the world on multiple dimensions and spearheaded new initiatives on the impact of technology, from the potential impact of smartphones to latest by founding and leading globally the Firms’ Global m-Health initiative. He holds an MBA from INSEAD in Fontainebleau (Henry Ford prize) and a Master’s degree in Engineering from Politecnico di Milano. Martin Spirig is a partner at Invision, a leading small/mid-cap private equity firm with offices in Switzerland and Germany. His investment interest is German and Swiss SMEs with market leading positions in their respective fields. He is responsible for Invisionâ€™s investments in Kraft & Bauer and Schneider and is a member of the respective boards. Previously, he was also looking after the investments in RSD (divested in 2016), Boost (divested in 2015) and Feintechnik (divested 2014). Prior to Invision, Martin was a consultant at Bain & Company in Singapore with mandates throughout South East Asia, Hong Kong and Australia. His clients were, among others, global private equity firms and Asian sovereign wealth funds. 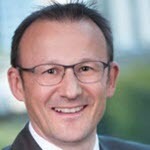 Before Bain, Martin Spirig was an IT project manager at Migros-Genossenschafts-Bund. Martin Spirig holds an MBA from INSEAD, a doctorate of law from University of St. Gallen and he was a visiting scholar at UC Berkeley. 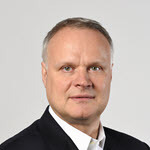 Head Business Management for Asia Switzerland, Bank Julius Baer Co. & Ltd.
Chief Operating Officer, Julius Baer Nomura Wealth Management Ltd.
Bernhard has worked in Private Banking for 15 years, in Zurich, Geneva and Hong Kong. He is currently the Business Manager for Julius Baer’s Asian business out Switzerland, with a focus on developing and executing strategic initiatives. In addition, he is the COO for Julius Baer Nomura Wealth Management, a joint venture between Julius Baer Group and Nomura Holdings, with offices in Zurich and in Tokyo. Bernhard holds a B.A. in International Business & Economics from International Christian University in Tokyo, Japan and is an INSEAD MBA 10J alumnus. Aleks is Partner, Executive Insight Healthcare Consultants, Zürich. 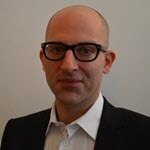 Aleks graduated with an MBA from INSEAD in 1997 and has been involved in the Swiss alumni community since 2005, e.g. as member of the Swiss Committee, President of the Swiss Healthcare Club. Aleks is also a co-founder and vice-president of the INSEAD Healthcare Alumni Network. After graduating from University of Zürich with a Master of Science in Chemistry, he has worked almost 20 years in consulting, starting at McKinsey & Company in 1994. Since 2000, he focused exclusively on the healthcare/life sciences sector at Elsevier MDL, Roland Berger Strategy Consultants and IMS Consulting Group. As a Partner at Executive Insight, a specialist healthcare consultancy that supports (bio)pharmaceutical companies to successfully prepare, launch, and commercialize their products, he advises international pharmaceutical/biotech, medical devices and other companies in the healthcare sector on strategic and operational topics, particularly in the commercial area. 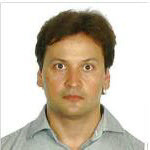 He has published his insights continuously in a series of reports and articles. Matthias Frieden is Group Leader, Go Beyond LTD, Zurich. He is an independent start-up and angel professional. He is coach of the international business angel network Go Beyond Ltd. and currently working on his own venture. Matthias has worked for Zurich Financial Services in a number of senior management roles, most recently as Global Head Risk & Technology Office. Prior to earning his MBA from INSEAD in Fontainebleau/Singapore, he was business editor for a Swiss daily newspaper. 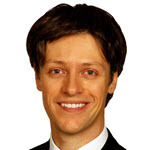 Matthias is Treasurer of the Swiss INSEAD alumni association and member of the respective Zurich chapter committee. Brigitte Reverdin is Founder of MARKETrends Family Office providing independent wealth management advice to entrepreneurs and families. Before that she had an international career in banking and finance. 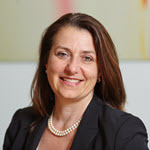 Brigitte is a board member of AB Science, Paris (pharmaceutical company) and served on the board of Triskel Integrated Services SA (pharmaceutical consultancy), Puilaetco Suisse SA (Private Bankers), and Enterprise IQ (business analytics). She is President of the International Advisory Board of the International Museum of the Reformation in Geneva. She holds a BA in Political Science from Skidmore College (NY) and a Certificat d’Etudes Politiques from L’Institut d’Etudes Politiques de Paris. She is a Swiss citizen and has two sons. Laurence Amand-Jules, is a Non-Executive Board Member and the former CFO at Sportfive International, Lagardère Sports. Before that she founded and led the first French crowdfunding startup, Charitic. 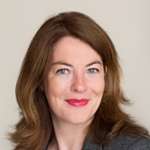 Earlier she worked in FMCG performing strategic planning, finance and analysis functions.She is an active INSEAD alumna and is involved in several professional women’s networks in the Geneva/Lausanne area. She currently serves as a mentor for Fintech Fusion, a start-up accelerator in Geneva. Mafalda Tenente is a Strategy Advisor and the former Head of Marketing Global Emerging Businesses in the Animal Health division at Eli Lilly, and previously Novartis. She has held a variety of roles in Marketing, Strategy and Finance in healthcare, hospitality and arts.An active member of the INSEAD alumni community, Mafalda served on the Basel Chapter committee for three years. She currently serves as an expert for the Kickstart Accelerator program, part of the new Digital Switzerland ecosystem.